Spider veins (telangiectasia) are generally considered to be a cosmetic problem, but occasionally patients complain of aching, burning, pain, or swelling. Spider veins are unsightly thin red or blue lines or weblike networks of blood vessels just under the skin. Although the development of spider veins often is genetic, exercise can be an effective method of prevention. 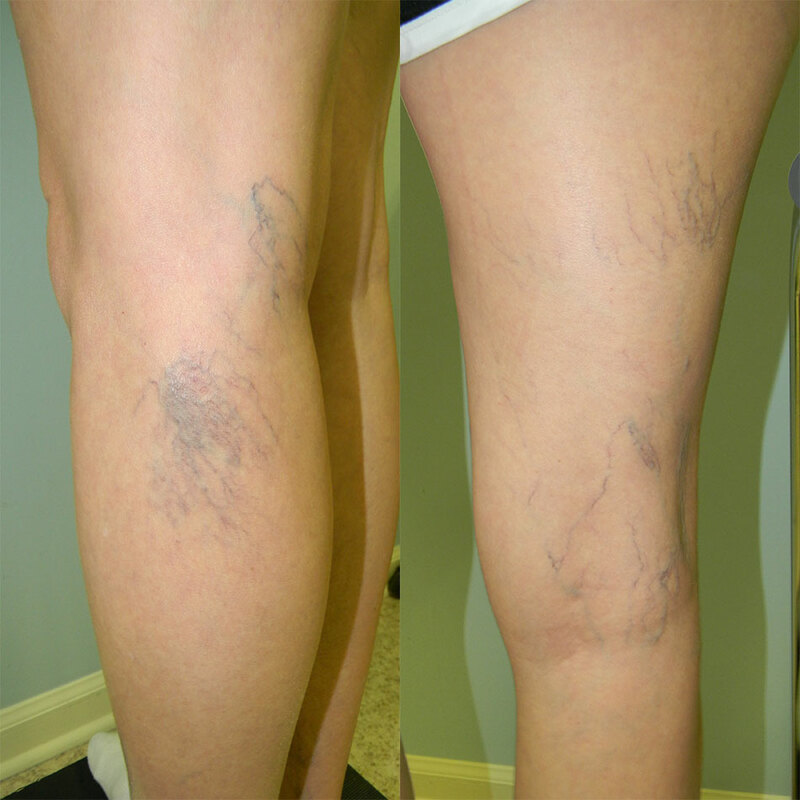 Spider veins are treated with sclerotherapy. Varicose veins are more common in women than men and often run in families. They can also be caused by hormonal changes (pregnancy, menopause), obesity, trauma, or by standing or sitting for long periods of time. The symptoms include: throbbing, aching, swelling, heaviness, tiredness, restless legs, nighttime cramps, burning, tingling, and itching. Patients with advanced disease can also develop skin darkening and skin ulcers. Occasionally, patients can develop a painful blood clot in varicose veins called thrombophlebitis. Veins are flexible, hollow tubes with flaps inside called valves. When your muscles contract, the valves open and blood moves through the veins. When your muscles relax, the valves close, keeping blood flowing in one direction through the veins. If the valves inside your veins become damaged or do not function properly, the valves may not close completely. This allows blood to flow in both directions. When your muscles relax, the valves will not be able to hold the blood. This causes reflux, which results in the pooling of blood and dilated veins. 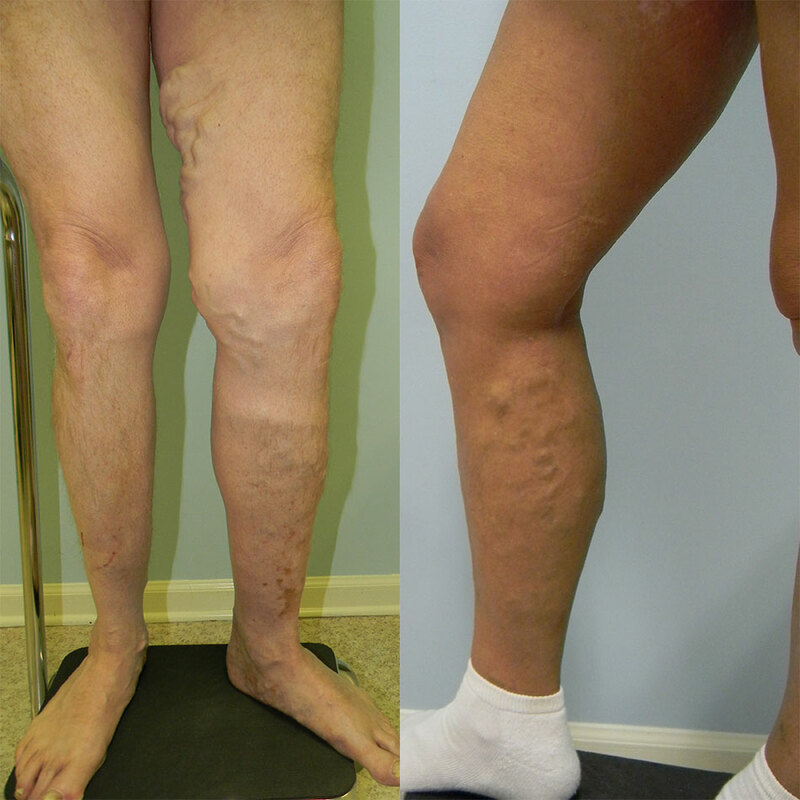 The veins bulge and appear as ropes under the skin and are called varicose veins. © 2019. Golden Triangle Vein Center. All Rights Reserved.